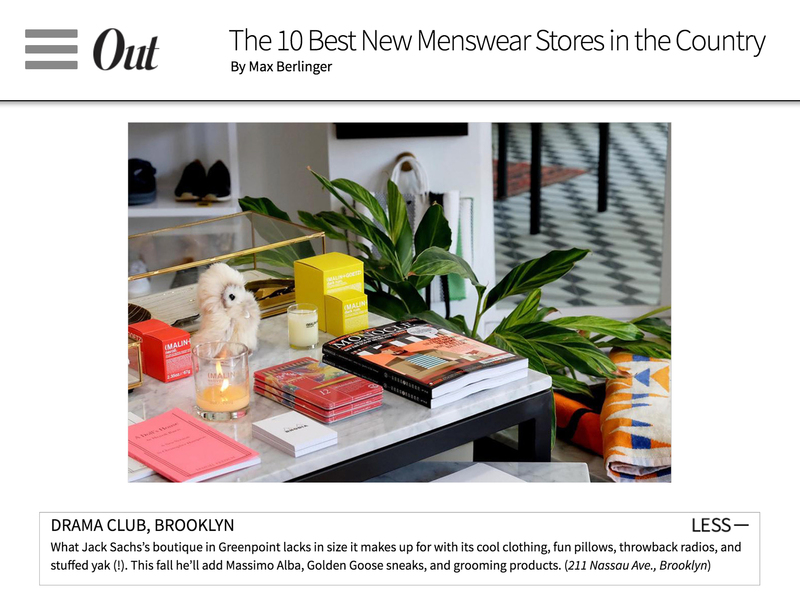 Out Magazine listed Drama Club among the best new stores for menswear in America. In August 2018, Out Magazine listed Drama Club in a feature of the '10 Best New Menswear Stores in the Country.' You can read the Post on Out Magazine's website, or see the review below. "What Jack Sachs's boutique in Greenpoint lacks in size it makes up for with its cool clothing, fun pillows, throwback radios, and stuffed yak (!). This fall he'll add Massimo Alba, Golden Goose sneaks, and grooming products." The article was written by Max Berlinger.